Remember the positive phrases around the mirrors of the school’s bathrooms a couple weeks ago? How about the post-it notes where you wrote what you love about your body? Well, that is all part of the Sports and Wellness new BINGO incentive program that recently started this month. Many remember last year’s ACTIVATE cards where the person with the most stamps at the end of the month wins a prize. This time, it’s not only about working out. It’s about meeting new people and making a difference in the world. You can receive a BINGO card at the start of every month. It has four different activities students, faculty, staff, and alumni can participate in. 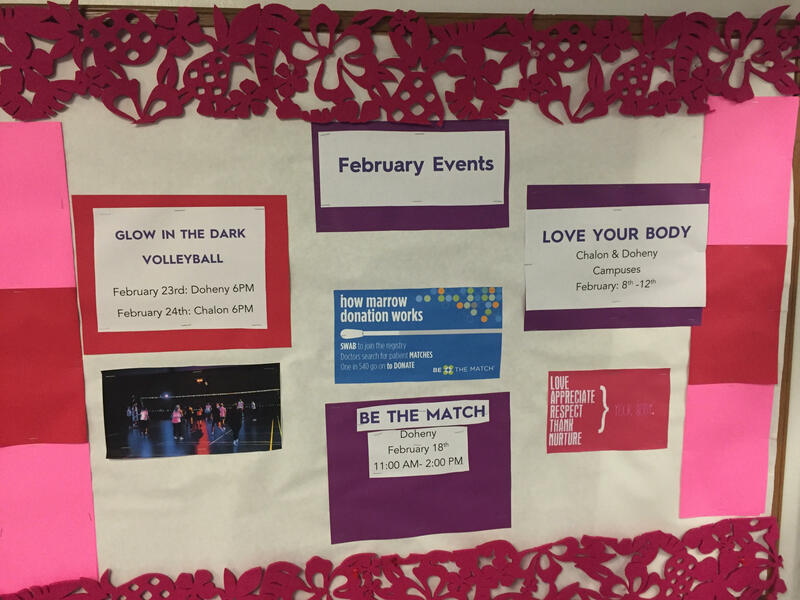 Among them are, circuit training, yoga, Zumba, hip-hop, cycling, and a fun glow in the dark volleyball game. Visit your Sports and Wellness Department for details. The BINGO card also includes the usual way to earn a stamp, with a workout in the gym and the Challenge of the Week. Overall, participants of this new incentive program have the opportunity to receive up to three stamps in one day. At the end of the month, those who turn in the card with five stamps in a row will automatically enter a drawing to win a prize. If the entire card is filled out, it will appear as a blackout and an automatic prize will be awarded. The winner will win from a variety of items. Though this month’s BINGO began in February, it’s not too late to start. BINGO cards are distributed on both campuses and all are welcome to participate. Thus, get out and get fit and try out the new BINGO program. Next DocuDay LA needs you!